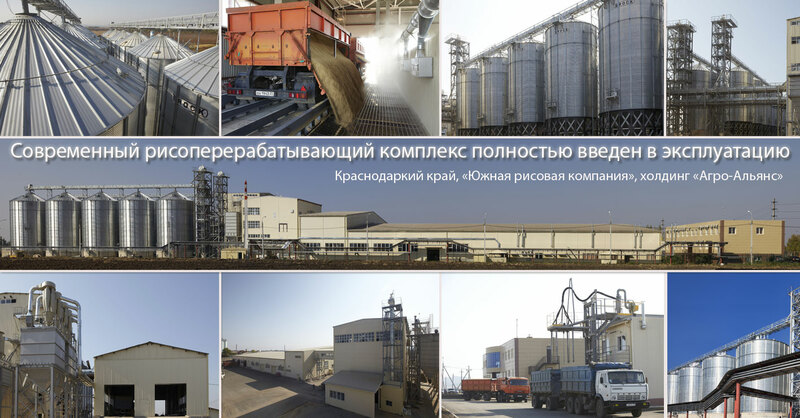 December 21, 2011, Southern Rice Company (Agro-Alliance Holding Company) have received an official confirmation to commissioning the final stage of the elevator complex in Krasnodar region. The complex includes a rice mill, a system of grain-silos, a grain-receiving building, a grain-cleaning workshop, truck scales, a laboratory, a production workshop for packed grains, logistic facility and an administrative building.Thus, the project of the new modern processing complex for storage and processing of the most valuable varieties of paddy is completed as scheduled. The grain processing complex is now operating at full capacity.